"Bahamas Car Hire prices that will bring a smile to your face - book today for the lowest prices!" *daily rates in Bahamas based on a 1 day rental (24hr period) and for guidance purposes only. Secure cheap car hire in the Bahamas with Rhino by getting a quote with our simple and secure 3 step booking process. We search for the cheapest car rental rates from all leading suppliers including Budget and Hertz at Nassau Airport and all other popular locations. Explore beyond the grounds of your hotel and see what these Islands have to offer the more adventurous traveller. We have a wide range of cars available from economy class cars such as the Kia Picanot for those on a tight budget to premium cars and SUV's like the Kia Sportage. As well as catering for the business traveller, our range extends to economy and compact cars to 4X4's and mini buses. For those travelling as a group you can save by hiring a single mini bus from Rhino rather than 2 or 3 smaller cars. Our transparent pricing makes choosing the cheapest car hire in the Bahamas simple, what you see is what you pay. Our base rental charge includes CDW, insurance and local taxes, however for those wanting extra peace of mind, our zero excess policy is great value. With options including additional drivers and child seats, customising your rental car package with Rhino is simple. 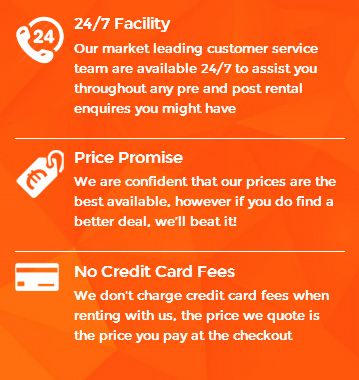 Save time and money comparing the market for Bahamas car rental and let Rhino do the hard work for you. We bring you only the cheapest rates to ensure you book the best deal online. Get an instant quote today and see why we were voted Best on the Road 2018 in London! Bahamas Car Hire - Did You Know? The Bahamas consists of 29 islands, 2387 islets and 661 cays. It is the fourth richest country in the Americas in terms of GDP per capita. The nation is prone to hurricanes as was hit by Hurricane Andrew in 1992 and Hurricane Floyd in 1999. The national flower is the yellow elder as it is native to the islands and also blooms all throughout the year. The name Bahamas is of Spanish descent and means 'shallow water'. Lucaya (Freeport) is today the largest single resort complex in the West Indies, with luxury hotels, casinos, villas, fine beaches and even a fanciful International Bazaar which comprises 4 hectares (10 acres) of shops and restaurants reproducing settings from all over the world; an English pub, a Parisian cafe and a setting from Thailand to name a few. There is also a deepwater harbour with a number of industrial enterprises set round it including a cement works, a pharmaceutical plant, a major oil refinery and oil transhipment terminals. On Inagua, the southernmost inhabited island, there is one of the world's largest complexes for producing salt by solar evaporation. A plant on New Providence processes frozen lobster tail for export to the USA, and the government is encouraging agriculture on a number of islands, especially Andros to make the country more self-sufficient in food. 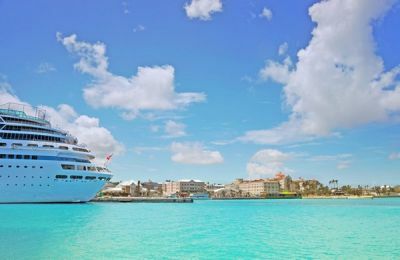 At the same time, Bahamian laws which exempt individuals and corporations from income and inheritance taxes have attracted more than 360 banks and trust companies to the country. Nassau is a Euro dollar trading centre that compares with London. 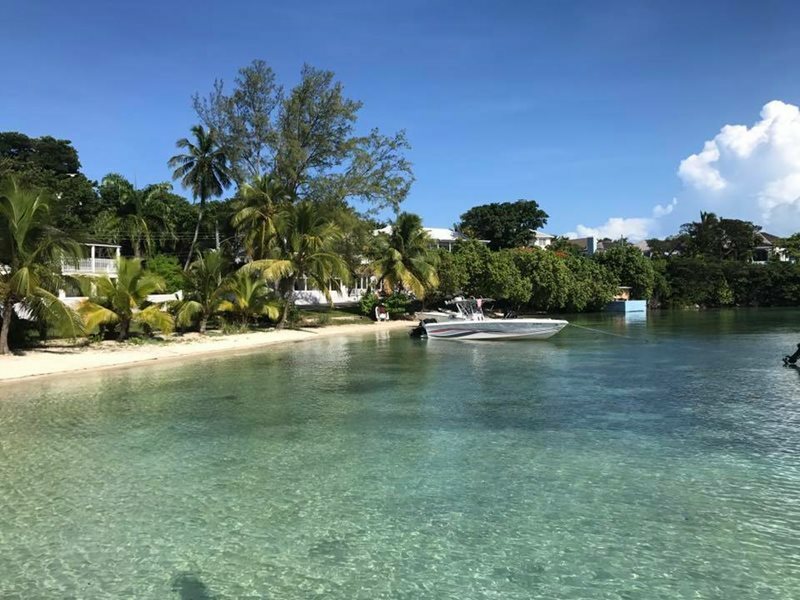 The main centres in the Bahamas are New Providence and Grand Bahama, which have been developed for tourism and business, but life on many of the other islands, known as the 'Family' or 'Out' Islands has been little affected by the changes of recent years. 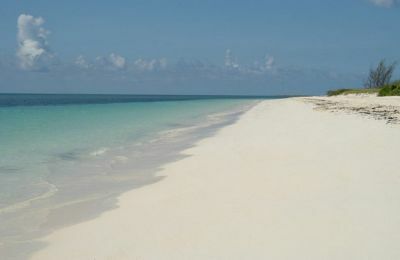 Off Eleuthera, for example, to the east of New Providence, is the little island of Spanish Wells. Its white inhabitants are the descendants of the first Puritan settlers and have managed to retain their separate identity for nearly 300 years. 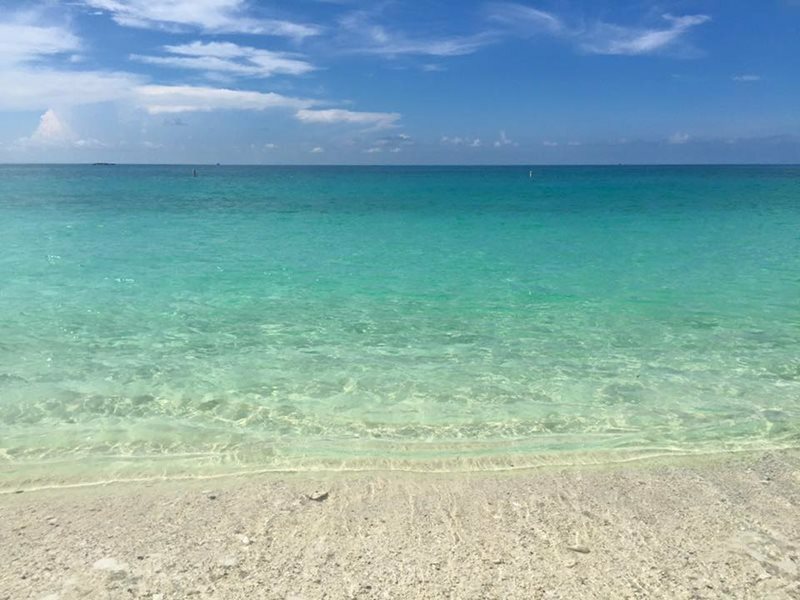 A popular place to visit in the Bahamas is the Freeport City Resort Complex where you can do some of the best shopping off the coast of Florida. The Bahamas is also a flourishing hub for business meetings as it has a large international financial presence. 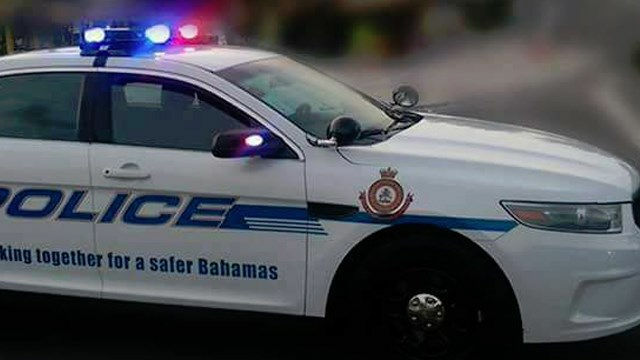 Many of our customers who are visiting the Bahamas on business are looking for luxury cars and we have a range of vehicles from Nassau Airport fully loaded with air conditioning and sat nav. Arrive in style at your business meeting with executive car hire in the Bahamas from Rhino.